Is This The End-of-the-World As We Know It? As we sail through the first half of 2012, with the fabled date of December 21, 2012: the so-called “the end of the Mayan calendar” approaching from the end of the tunnel, is this blistering summer of 2012 just the lull before the train wreck or are we in a fluid situation that has no set timetable for any predetermined outcomes? 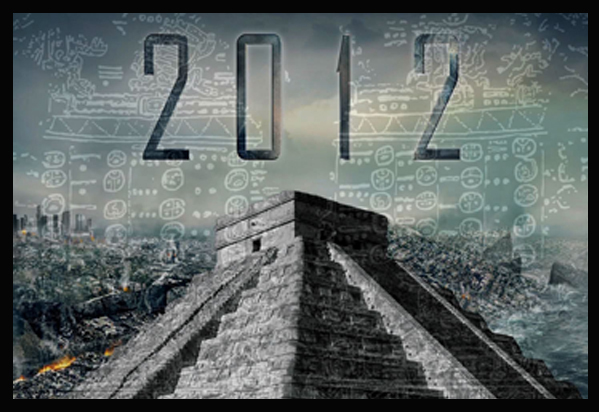 Will this be the “end-of-the-world as the media is programming us to believe? Such drama arrives every-so-often, but the end-time scenario never comes true. Rhetorical questions, of course. There are signs of hope in the culture but it does appear that there is a “doom and gloom” self-fulfilling prophesy manifesting around us—perpetrated by our perception of ourselves and feedback-looped by our front-loaded interpretation of unfolding events. Nightly news shows report worse news after bad news and the spin around world events continue their downward spiral toward what I call, Ytwenty-twelveK. But, maybe I’m too jaundiced and like many are simply ignoring the growing “chicken-little”-style cacophony. OK, this is all fine and good, and sounds like interesting science-fiction, but regardless of what happens in the next 5 months, we can assume that there will be a frenzied media countdown to doomsday–ending next December. And, (at the risk of sounding too cynical) if the media has its way, the world is gonna end and we’re all gonna die! Personally, I don’t think so. *hint* I predict the real nastiness will probably occur in mid-to-late 2013 after everyone has breathed their personal sigh-of-Y2012K relief… But seriously, what if doom-and-gloom interpretations are accurate? What should we do? Where should you go for protection from the cataclysms? Is this time period truly ‘the end of the fourth world” as referred to by the Hopi Indians of the Southwest United States? If so, how do the primordial sub-cultures in North America define these times? And why should we care? And why am I asking so many questions? So, what do intrepid explorers do when faced with looming end-times and predicted cataclysmic earth changes? Mount an expedition of course! But where do you go? If you want to hedge your bets, you should base your decision on good, in-depth research and trips in-the-field. Let’s have some fun and investigate theoretically what we should do and where we should go in North America if the proverbial merda hits the ventilatre and Gaia decides to wipe herself? One place definitely comes to mind and it’s only a few hours north from where I live near Sedona, AZ: the Confluence of the Little Colorado and Colorado Rivers in Grand Canyon. This remote, breathtaking location features a tantalizing story from the early 20th Century of the discovery of an ancient Egyptian/Buddhist underground city allegedly built thousands of years ago. This same area is the supposed location of one of America’s most sacred sites consisting of an underground sanctuary where “The People” are sheltered from cataclysmic earth change events that are said to occur between the worlds. 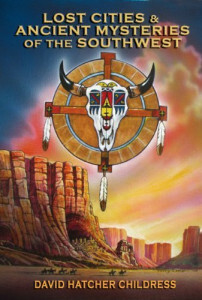 This indigenous version is also connected to the myth of “emergence” into this current world that is shared by many Pueblo Indian tribes of the American Southwest. And, how convenient–both locations are located less than 20 miles apart! 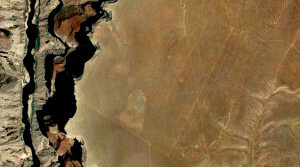 In the late Fall 2011, while using Google Earth, archeoastronomer/author Gary David noticed a strange rectangular lattice of faint roads that are visible from the air on the eastern Rim of the Marble Canyon section of Grand Canyon. This is where the canyon system heads east upriver from the confluence with the Little Colorado. 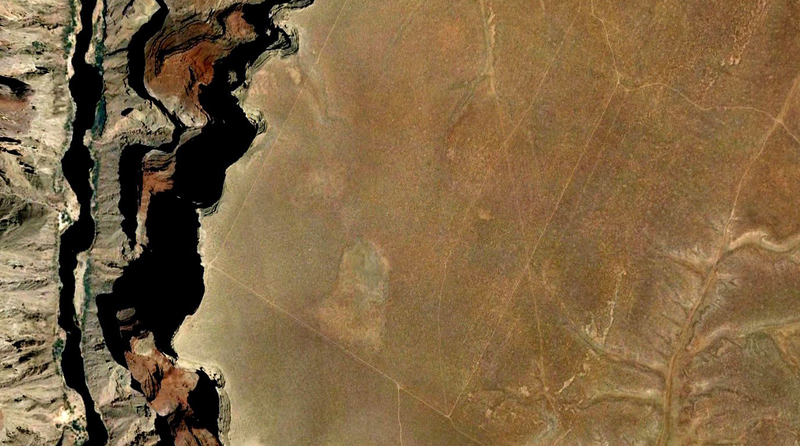 This one-mile X ¾ mile rectangle is easy to spot on Google Earth. 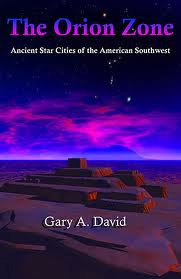 Gary is the author of the seminal book about the ancient SW indians and a correlation between village and sacred sites and the constellations around Orion. He alerted myself and David Hatcher Childress of this unusual rectangular feature and suggested we mount a trip to the area the following spring. David and his wife Jennifer agreed. So, I set the ball in motion and over the winter came up with a short list of team members. The first call I made was to Ron Regehr and his wife Darlene. Ron is a retired aerospace engineer who has spent years hunting petroglyphs and pictograms around the Four-Corners region of the American Southwest. He was also MUFON State director for Utah, lives in Moab and is working on a “petroglyph dictionary.” Darleen works at Mesa Verde National Park and is an experienced outdoorsperson. I also contacted river guide and noted cryptozoologist J.C. Johnson who has spent years exploring the region investigating reports of Bigfoot, unknown reptiles and Navajo “skinwalkers.” JC brought his friend Audrey Tortez who is a security officer in Apache County. I also invited Zuni Elder Clifford Mahooty who spent over 20 years coordinating civil engineering projects for the Bureau of Indian Affairs. He is also expert at assessing “sacred site” usage. This location where we planned to go is considered one of the most sacred sites in North America and his insight would prove invaluable. I also contacted a friend who owns and flies a four-foot remote controlled helicopter with a mounted high-resolution video camera. 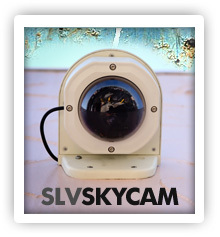 If we could dodge the incessant winds that whistle through the canyon, perhaps we could videotape a map of the location to look for clues of any additional entrances to the underground city and/or the Sipapu. There are many emergence myths and place(s) of protection in North America. The most famous is the Hopi sipapu (or sipapulima) said to be located somewhere near the Grand Canyon. Kivas are round, underground rooms that are identical in shape and design to the original sipapu [deleted] and are created by many Pueblo Indian tribes as ceremonial spaces for traditional gatherings and teachings of sacred knowledge. Most Pueblo Indian traditions agree that this current time period in the 21st Century is the “fourth world.” The prior three worlds were destroyed by fire, ice and flood with some traditions also mentioning winds and/or earthquakes. Before the world cleanses itself at the end of a particular world (and life is destroyed to start anew in the succeeding world), The People (who are pure of heart) are led underground to be cared for by The Creator during the cataclysms occurring above ground. Loosely interpreted, this location is called by the Hopi the “ant kiva,” or sipapulima. Said to be inhabited by “ant-people,” the People are then cared for and protected by these “ant-people” in this underground sanctuary until Creator tells his subordinate gods that it is safe for the people to re-emerge and re-populate the continent/world. The mythic story has several versions of how and why this happens, but in all versions of the story, The People re-emerge up into the new, freshly cleansed world. The Zuni Indians also mention an interesting detail I haven’t found in other traditional accounts. In the Zuni version, as a result of being underground for so many generations, The People now called the “raw people” have become deformed and adjusted to pitch-darkness after living underground for generations. Upon emerging up into the new world, they are poorly prepared for their new life above ground. They corrected by the “star people” (kachinas) who help them lose the webbing between their fingers and toes, their tails and slowly help them become re-adjusted to the light. When they have recovered, they are then divided back up into clans are sent on the migrations to the four-directions. The Zuni shaliko tradition may contain clues about this process of interaction with The Star People. Most rational folks in today’s jaded 21st century wouldn’t give an ancient myth such as this a second glance. I’ve heard people snort, “It’s all just a bunch of superstitious nonsense,” or “how could you ever believe this is true…” Well, I do respect that many Native Americans do take this subject very seriously. Regardless of emerging mass belief around this time-period, I thought it would be fun and educational to visit the area. I look at the eastern rim every time I guide a trip up to Grand Canyon. Standing at Desert View on the extreme eastern end of the developed National Park, you can see the confluence—about 16 miles away. The rim is a vast, treeless, remote area with few dwellings and a bewildering spiderweb of rough jeep trails that cris-cross the scrubby sage-adorned terrain. This mysterious plateau sits almost 5000 above the river below and stretches off into the distance as it adorns the canyon’s eastern rim. Illegal? Illegal Chopper Flights Down to the Sipapu? ← The Baigong Pipes – Nature or Aliens?